A modern design for a classic cowl neck pullover. 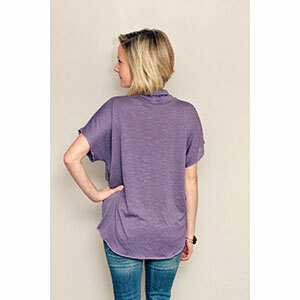 This pullover is designed to be a simple sew but remains stylish with simple lines. 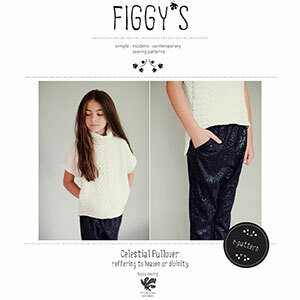 The fit is roomy and cozy perfect for layering when it is chilly but very adaptable for thin knits during the warmer months. The High/Low hem gives it a contemporary touch and optional pockets are sure to score points with the kids and their treasures. Pattern size range is XS through XL (10 - 16 years).